Saudi Vision 2030 has the potential to attract $1 trillion in inward FDI over the next 15 years, according to experts. The vision outlines Saudi Arabia’s ambitious transformation plans, and aims to create a diversified economy underpinned by an invigorated private sector. Even if only partially realised, it would create significant business opportunities and drive the kingdom onto a more dynamic growth path. The kingdom is at a critical juncture: its economic model is no longer sustainable in a world of depressed oil prices, and there is a youthful, connected population entering the workforce and eager to integrate with the outside world. Vision 2030 is a sweeping reform agenda. It not only seeks to reorient the economy away from oil, but also to create a more engaged and open society. These social aspects go hand in hand with the economic reform agenda and aims to create a productive society that will support economic growth. Investors looking to capitalise on these opportunities require a nuanced understanding of how the country’s business environment is changing. Businesses need to understand the government’s plans for the sectors in which they operate, as well as the government’s ability to deliver on its reform promises. They also need to continue to monitor the fiscal and social pressures the government is facing, as these will be primary factors shaping the government’s resolve to follow through on these fundamental reforms. “Saudi Arabia is embarking on a radical transition that promises to open up many economic opportunities for investors. However, the kingdom will remain a challenging environment to work in, as the traditional way of doing business – both within the government and in the private sector – meets the new economic mode,” said Graham Griffiths, Analyst at Control Risks Middle East. Total GDP: A productivity-led economic transformation could enable Saudi Arabia to double its GDP and create as many as six million new jobs by 2030. Better human resources can also help the country boost GDP. Oxford Strategic Consulting’s ‘Human Resources Management in the GCC’ research report with Aramco found that effective HR could add $14bn per year to the GDP of the Gulf Cooperation Council states. 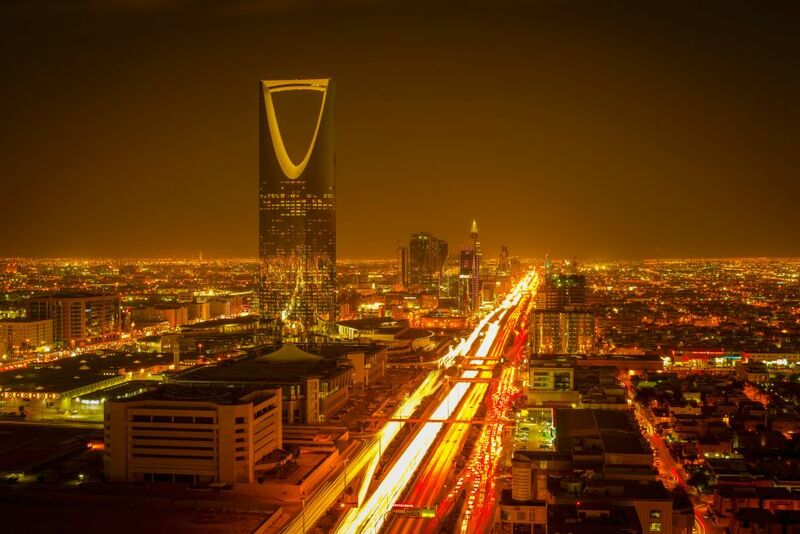 Given Saudi Arabia’s contribution to the bloc’s total GDP, Oxford Strategic Consulting estimates that better HR has the potential to generate approximately $6.44bn in GDP for the country. Inward FDI: The vision also aims to increase inward FDI’s contribution to GDP from 3.8 per cent to 5.7 per cent and this would require an inward FDI average growth of 21 per cent per year (in nominal terms), resulting in cumulative inward FDI of up to $1 trillion over the next fifteen years. To attract foreign investment the government is seeking to create a more investment-friendly environment by eliminating bureaucratic red-tape, opening up additional sectors of the economy to foreign investors and revamping regulation. Private sector: The private sector currently contributes 40 per cent to GDP, but officials hope to increase this to 65 per cent by 2030. Meeting this target requires stronger private sector annual GDP growth by five percentage points per year versus baseline growth. This would grow the private sector on average by 13 per cent per year (in nominal terms), resulting in private sector GDP growing by a factor of six in just fifteen years. SMEs: To spur private sector growth, the government is taking steps to support SMEs and provide stimulus funds for the private sector. The country’s private sector will welcome this support, as it needs to employ a total of 4.1m nationals by 2030 – a rise of 2.5m compared with current levels. Even as the vision looks set to unlock numerous opportunities, its implementation will face challenges. For both foreign and local firms, taking advantage of and maximising these opportunities will require solid knowledge of the local market dynamics, reform agendas and human capital considerations. Arab Luxury World, a leading conference on the business of luxury in the Middle East, is a unique summit built on the extraordinary growth the region has recorded over the past decade in the luxury segment. This year, the event will focus on the advent of the Fourth Industrial Revolution and the end of the era of overabundance – two factors that are transforming the Middle East luxury industry. The event will also examine Sauid Vision 2030 and what it means for the kingdom’s luxury sector. With the aggressive job creation drive, impetus to SMEs, and a strong push for a digital economy, the kingdom’s luxury sector will see several new opportunities. What can brands and retailers do to be part of this new change? Will this vision help solve the problem of finding the right talent for the kingdom’s luxury industry? How will the new laws and employment-related regulations affect brands, distributors, retailers and, eventually, consumers? Attend Arab Luxury World 2017 on May 22 and 23, 2017 at Westin Mina Seyahi, Dubai to find out.